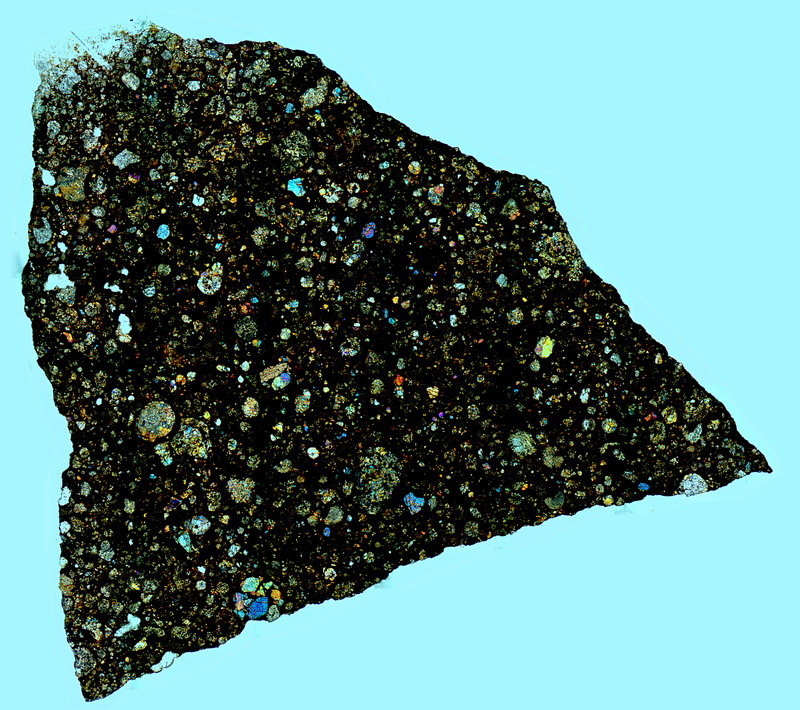 Thin section specimen of Sahara 99544 Meteorite seen in polarized light with a 1/4 wave retarder. Being a type CO3, there is an abundance of small diameter chondrules and olivine aggregates. In Norton’s The Cambridge Encyclopedia of Meteorites CO type chondrites are compared with CV type chondrites. Compare SAH 99544 with Allende, which is type CV. CO chondrules are on average 15% the size of CV chondrules. CO type specimens contain about half the volume percentage of CAIs when compared to the CV class.